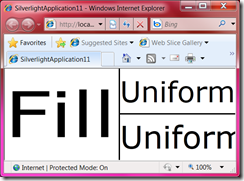 Viewbox is pretty well understood – it’s been around in WPF since version 1 and it’s also part of the Silverlight Toolkit. 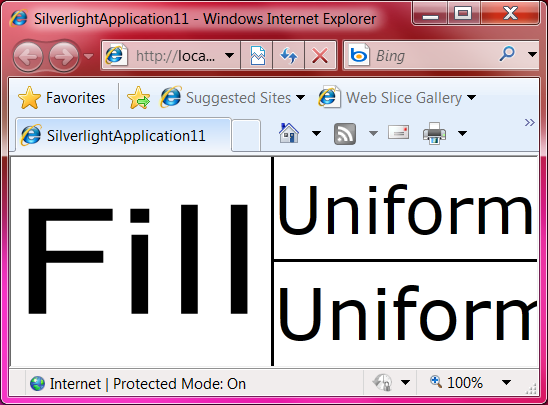 In the current Silverlight 4 preview it’s also back in the platform. 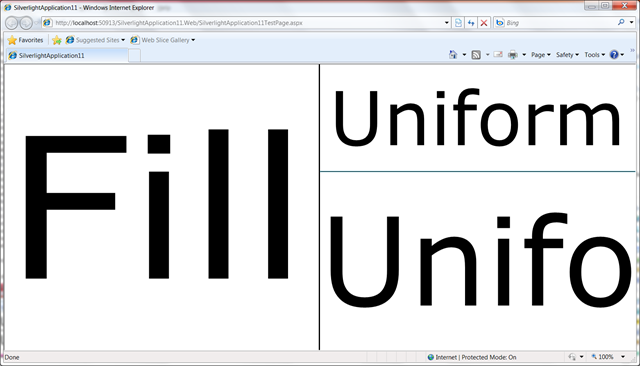 The essential idea of the Viewbox is to scale its child content to fill the space that the Viewbox itself is occupying. I’ve always found this useful for situations where I’ve got content that I’ve organised at a fixed size and I simply want to scale that up/down rather than trying to do some dynamic layout with the content. 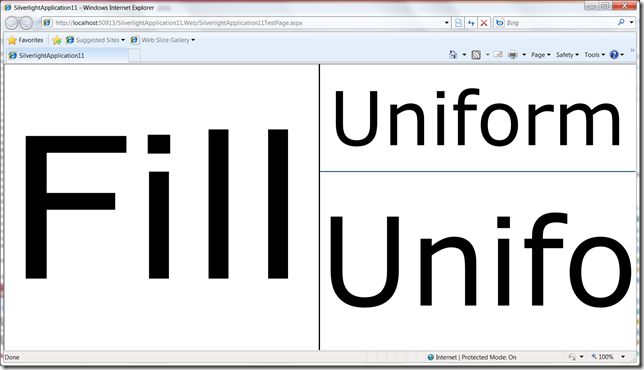 In terms of scaling – it’s possible to set the StretchDirection property to control whether content is only scaled “up” or only scaled “down” or ( default ) “both” as I used above.